Whether you’re getting started in homeschooling or nearing the end of your journey–there’s always some essentials you’ll need to buy. I’m sharing some of my favorite products and companies. I hope you find them useful! “3rd Opt” refers to the SC Code of Law 59-65-47 which governs most of the accountability associations in SC. 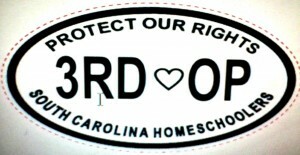 Support Homeschool Rights in SC. Find everything on your shopping list at Amazon. 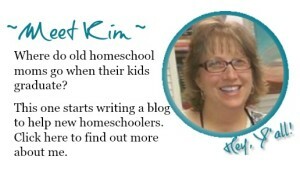 The SC Homeschooling Connection is a participant in the Amazon Services LLC Associates Program, an affiliate advertising program designed to provide a means for sites to earn advertising fees by advertising and linking to amazon.com. Currclick has a variety of eductional resources sorted by age, by subject, by special needs and by worldview. Try some of free materials throughout the year. Gift certificates are also available. The Book Depository one of the world’s largest dedicated online booksellers, offering over nine million book titles, available for dispatch within 48 hours. Plus free shipping! Geek subscription boxes: Each month customers will receive a different themed box which will be full of a variety of merchandise and geek gear, as well as a T-shirt. Order just one…or subscribe to one a month. Quirky gifts including gadgets, gizmos, toys, photo gifts, experience days and home and office accessories. IWOOT is an ideal gift shopping solution for those who have everything, a great place to buy things you don’t need but are dying to have! I seriously want one of everything on there. GearBest is for gadget lovers, by gadgets lovers. We share your passion for all kinds of cool tech and the hottest gears. Consumer Electronics, Electrical & Tools, iPhone/iPad/iPod accessories, Gopro accessories, Cell phones, Car accessories, Led lights, and more. Over 160,000 products with worldwide free shipping. ZumaOffice.com is a different kind of office supply company that saves you money, time and gives back over half of our annual profits to great charities. Their pricing is guaranteed to meet or beat your local Big Box office superstores. 1ink.com is committed to saving customer’s money and providing the highest quality replacement ink cartridges and laser toners. The 1ink products consistently produce high quality prints. Lonely Planet is the leader in travel guide book publishing, with over 500 trustworthy & inspiring books and a range of innovative digital products. Where ever in the world you’re going or just studying about…this is the place to go first.